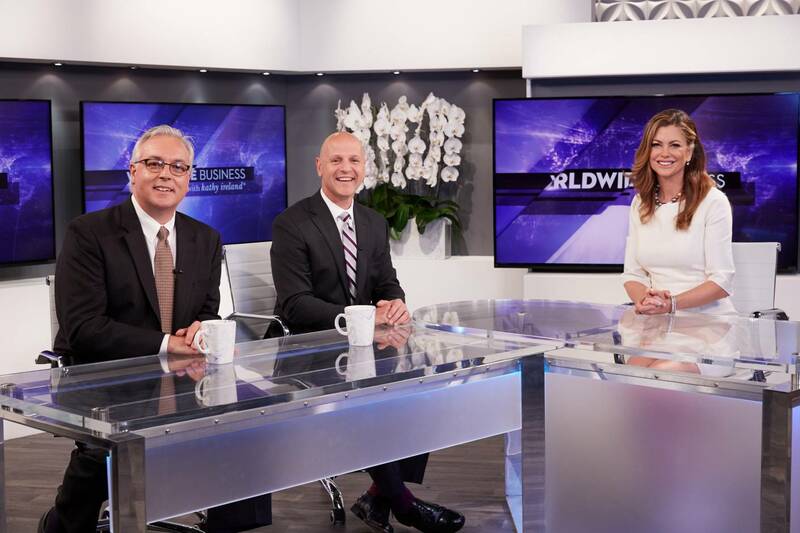 New York, NY (November 27, 2017) – Travel Leaders Corporate executives joined host Kathy Ireland on Worldwide Business with kathy ireland®, on Sunday, November 26. Travel Leaders Corporate President Gabe Rizzi and Senior Vice President Mike Boult talked about trends in business travel, and how Travel Leaders Corporate can help companies provide their travelers with the ultimate in duty of care, while providing efficient travel services to meet their budgets. Rizzi and Boult gave Ireland the industry insiders’ view about how business travel is undergoing a revolution, and how Travel Leaders Corporate is helping shape it with its expertise and innovative products. Travel Leaders Corporate is transforming the industry through three service offerings: travel fulfillment, consulting/analytics and meetings management, including the all-in-one mobile communications travel platform, Travel Leaders CONNECT. As part of Travel Leaders Group, Travel Leaders Corporate has superior buying power in the travel industry, and can negotiate exclusive deals for its clients. Additionally, the ability to use proprietary analytics means that Travel Leaders Corporate can do a deep dive into clients’ travel to see where savings and efficiencies can be gained. Travel Leaders Corporate’s interview with Kathy Ireland can be seen here.